Tonight as I write this we are in Beersheba, so we have traveled the biblical “from Dan to Beersheba” that is referenced so many times in Scripture (1 Sam. 3:20, etc. ), having been to Dan earlier last week. Last evening we spent the night at the Dead Sea at En Boqeq, but the internet was down when I was attempting to use it. Yesterday AM before leaving Jerusalem we visited the Wailing Wall. 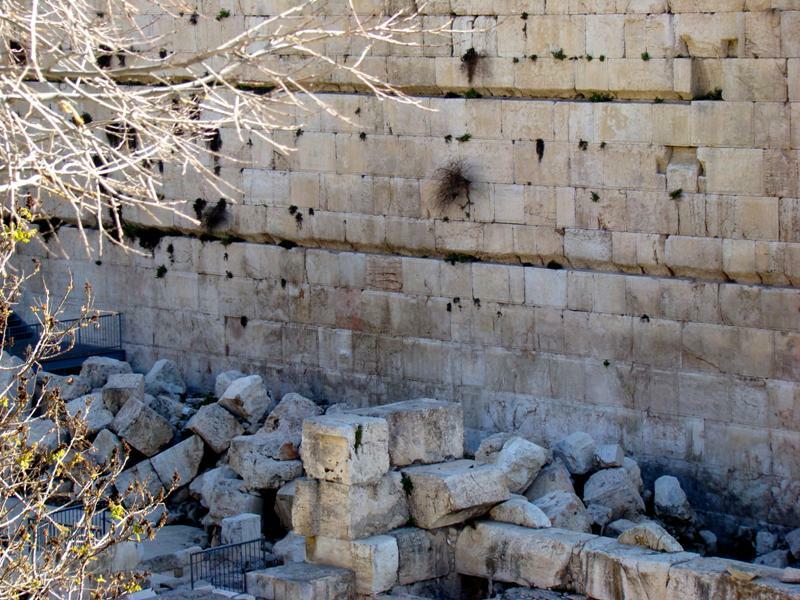 This wall was not part of the temple itself, but was the retaining wall for the temple and the structures on the temple mount. 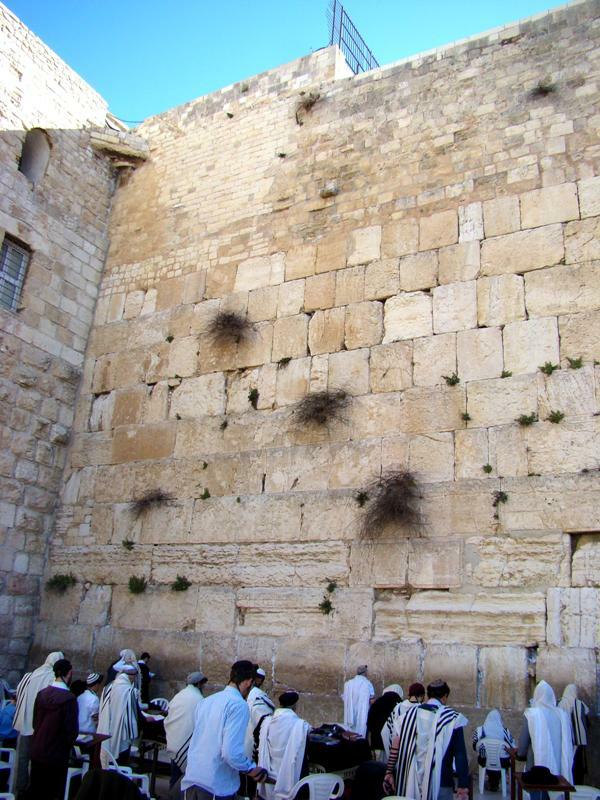 Wailing Wall in Jerusalem. Photo by Leon Mauldin. Jerusalem is defined by three valleys: the Kidron, Tyropean and Hinnom. In the above photo we are standing in the Tyropean Valley. The first several courses of larger stones starting from bottom are Herodian. Jews come here to mourn the destruction of the temple, among other reasons. Just south of the wailing wall, excavations have reached down to first century street level. There you can see the stones that have been uncovered that were part of the temple buildings, hurled down into the valley during the AD 70 destruction. This photo shows the fulfillment of Jesus’ promise that not 0ne stone would be left upon another, that would not be cast down (Matt. 24:2). He said that this would occur during that generation (v.34). Temple Stones from AD 70 Destruction. Photo by Leon Mauldin. After leaving Jerusalem, we went to see Anathoth. 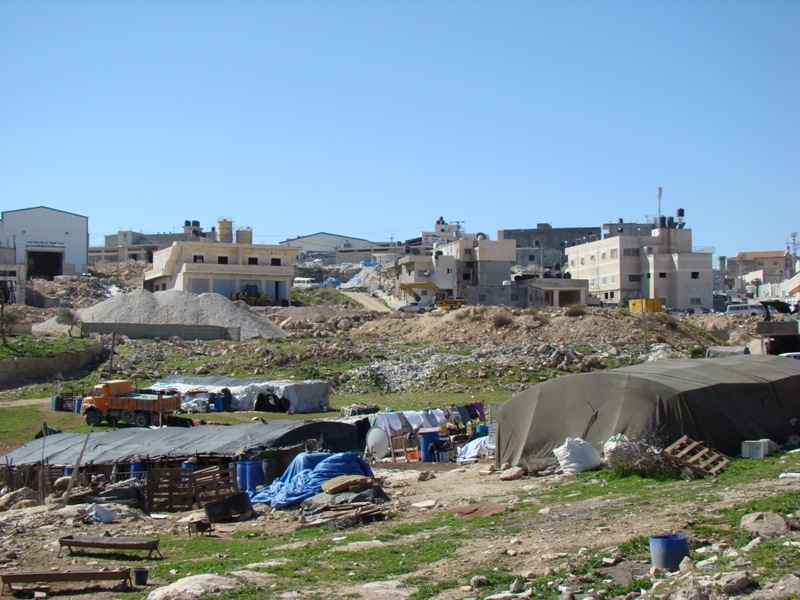 This was the site of the city which was home to Jeremiah. Anathoth, home of prophet Jeremiah. Photo by Leon Mauldin. We also went to Old Testament Jericho. While there I took a group photo. Group Photo at OT Jericho. Photo by Leon Mauldin. We’ve learned a lot on this journey. We are truly blessed. This morning upon leaving En Boqeq we went to Masada. En route to Masada we stopped at Zoar for the view. The brook drains down to the Dead Sea. It is not clear if there is any connection between this location and the Zoar mentioned in Gen. 19:22ff., in connection with the narrative of lot and the destruction of Sodom and its surrounding cities. The mountains just south of this area are called the Mountains of Sodom. Masada was a Herodian fortress. It was here that the Zealots fled after the Roman destruction of Jerusalem in AD 70. The Romans laid siege to Masada, and in AD 73 broke through the wall. They found the Jews inside chose death by their own hands rather than be captured by the Romans. Tomorrow is a full schedule of sites from Tel Sheva (Beersheba) working our way up to Joppa, and from then to TLV for our departing flight home, the Lord willing. Thanks again for following our travels, and for the many kind notes & prayers. Click on photos for higher resolution. This entry was posted on Thursday, March 17th, 2011 at 2:56 PM and is filed under Archaeology, Bible History and Geography, Bible Places, Israel, Travel, Uncategorized. You can follow any responses to this entry through the RSS 2.0 feed. You can leave a response, or trackback from your own site. Thanks for all the information and pictures. It is exciting to see some of what all of you were able to see. I continue to pray for your safety and a safe return home. Thanks Beulah for following our travels and for sharing with us in the excitement and joy that this kind of study-opportunity brings. Hi Leon, it is great to have discovered your pictures and comments. 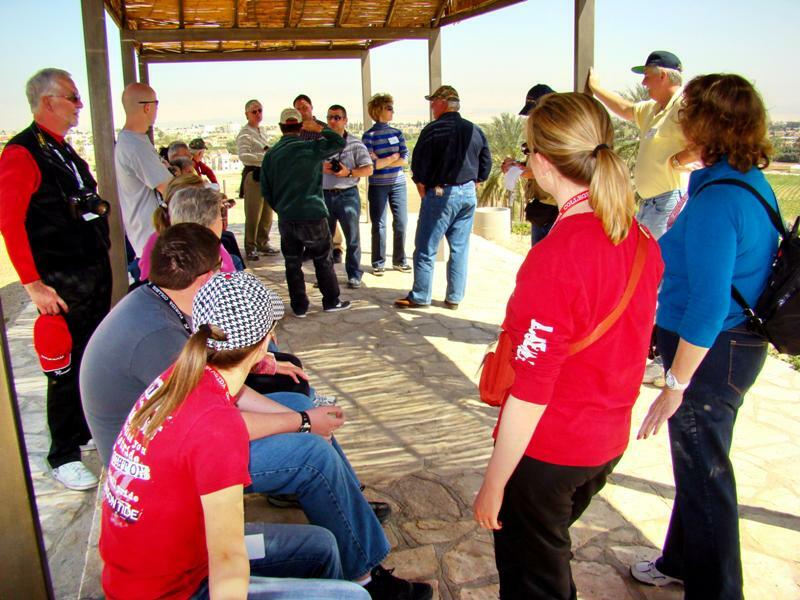 My husband and I also take groups to Israel and Jordan, and visit Lot’s Cave on the Jordanian side of the Dead Sea, which I first visited with the excavating archeologist from a Scottish University. From there you can see in the distance modern Zoar, just south of this and the area the Jordanians are excavating as the Biblical Zoar. I am not sure how this would relate geographically to where you were standing in this photo. Thanks Ann for your post! I have not yet been to Lot’s Cave, but hope to have that opportunity.